The terrorist guy is not a conservative, nor a classical liberal or libertarian. He is a white nationalist and Christianist. In the care he played songs made by Serb nationalists during the Bosnian war with anti-Muslim och genocidal rhetoric. 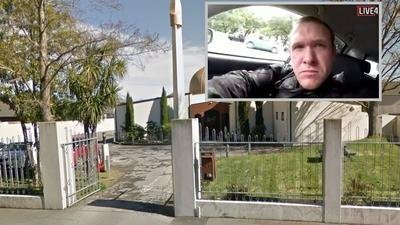 So the media is in general not lying because the terrorist himself was very open with his manifesto and political symbolism. Being in favor of Chine does not make one into a eco-fascist. Chinese government does not car about climate and environment because they are ecologists. They promote climate policies because climate and ecological problems in China led to thousands of demonstrations between 2008-2012 and a one party state will do everything to keep themselves in power. Also, the Chinese government is not so communist, they are in fact a nationalist and collectivist government that favors state-capitalism and other authoritarian policies.